Welcome to Hopewell Valley Vineyards' exclusive online wine catalogue. Blending Old World flair with New World style, the Neri family brings three generations of Tuscan wine making experience to the beautiful central New Jersey region of Princeton, producing award-winning artisan wines with distinctive quality and character. Hopewell Valley Vineyards is a local gem New Jersey can be proud of. Medium-bodied with an intense ruby color, this Northern Italian variety displays a strong varietal character with aromas of cherries and raspberries. We are one of only two vineyards in New Jersey that grow and produce this exceptional grape. Our oak-aged Barbera is a well structured red wine with balanced tannins for a long, smooth finish. Ideal for tomato-based dishes, grilled meat and lamb. Serve at room temperature. Medium-bodied and generously fruity. Displays a strong varietal character with hints of cherries, plums, and raspberries. Enjoy with pasta, pizza, and red meats. Serve at room temperature. Medium-bodied with a smooth long finish and deep red color. Our vintner’s blend embodies sweet aromas of raisins, raspberries, and plums. Enjoy with cheese, pork, beef, roasted chicken, lamb, grilled food, and pasta. Serve at room temperature. Our Sangiovese is fruity and naturally acidic with nuances of ripe cherry, blackberry, and minerals. Deep ruby red color, medium body and balanced tannins make this robust Tuscan wine an ideal companion to meat, lamb, and tomato based dishes. Full-bodied with intense aromas of black cherries, our Cabernet Sauvignon has been aged in French oak barrels for 14 months to achieve a structure worthy of several years of cellar life. Excellent with red meat dishes, pork, rack of lamb and roast duck. Our special Villa Neri brand of Alexander Valley Cabernet Sauvignon displays a deep and rich color and a fragrant fruity aroma. Hints of ripe plum, black cherry and berry fruit together with smooth tannins, a full body and a long finish allowing for an intense and lucious wine experience. Deep ruby red color, balanced tannins and three years of aging in barrel and bottle make this robust and yet smooth red wine the perfect compleent to red meat, lamb, and aged cheese. Produced with Sangivoese grapes, our Basia is fruity with nuances of ripe cherry and minerals. 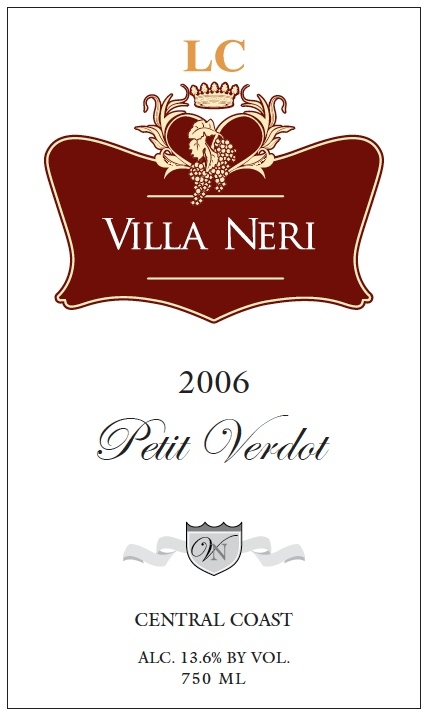 This is not a red wine for the light-hearted - with its dark, velvety violet color, tough-as-nails tannins, and highly structured and concentrated fruit flavors, the Petit Verdot has not such a petit personality! Our Aglianico is a medium bodied wine with garnet color notes and orange hues. High acidity and spicy notes lead to a long, smoky finish. Balanced tannins with a rich berry flavor. Aged in bottles for 16 months. Light-bodied with a delicate fruit bouquet of peaches and limes, our Pinot Grigio displays a dry, crisp, and fresh flavor that complements lighter style cuisine. An outstanding companion to poultry, seafood, salads, and pasta with light red sauces. Serve chilled at 45 degrees. Medium-bodied and pleasantly sweet, our Stony Brook Blush is a light and fruity wine with accents of cherries and strawberries. 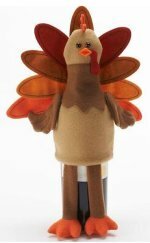 Great with appetizers, mild cheeses, ham, turkey, and fruit salads. Serve chilled at 45 degrees. Clean, dry, and a well-balanced sparkling wine. Ideal for hors d’oeuvres, cocktails, seafood, and toasting for special occasions. A new Hopewell Valley Vineyards favorite. Serve chilled. Light-bodied made with Brachetot D’Acqui grapes. Distinctive notes and color of strawberries. Enjoy chilled with fresh berries and plum tarts. 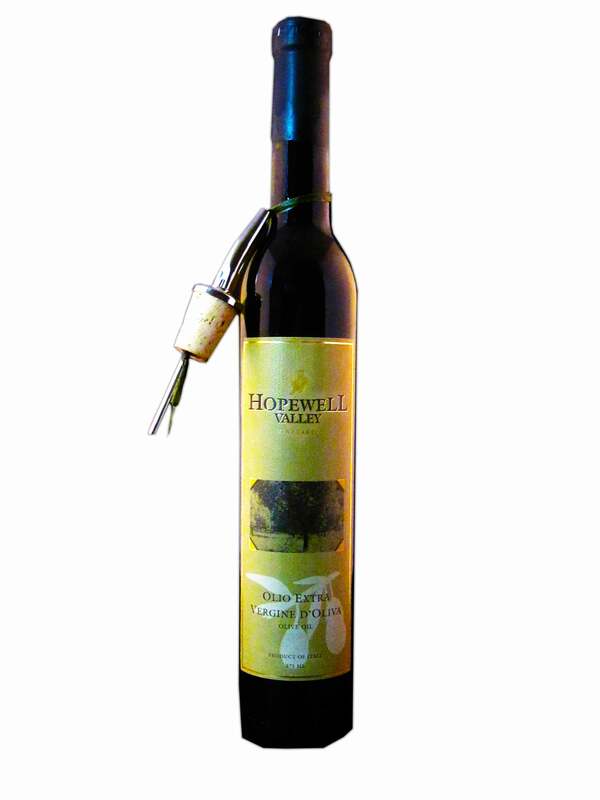 Hopewell Valley Vineyards' extra virgin olive oil is produced from hand harvested and traditionally milled olives grown at the Fatorie di Laura in Tuscany.